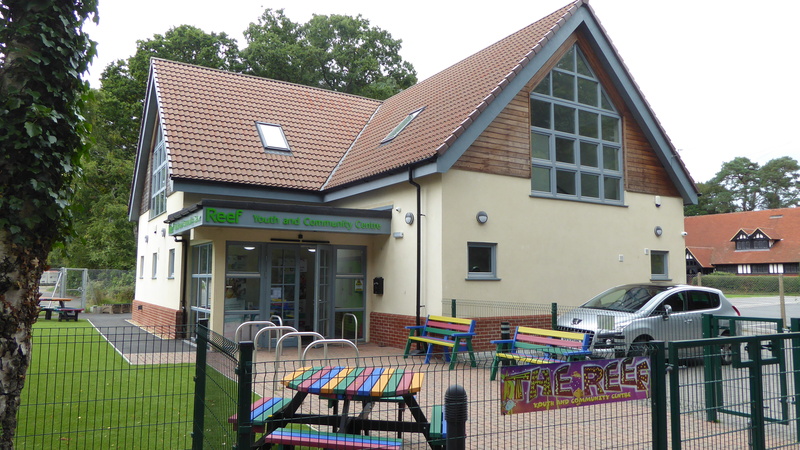 The Colehill & Wimborne Youth & Community Centre Ltd (The Reef) was set up as a limited company with charitable status primarily to ensure a quality youth facility for the young people of Colehill, Wimborne and the surrounding area. This remains the main purpose of the charity but it has become so much more. Our vision is to continue providing a Youth Club for all our young people where they can enjoy a far-reaching and stimulating programme of events, helping each member develop their potential in a safe and secure environment. The Reef has grown organically and is fast becoming the centre of the community with more and more groups, clubs and societies using the building on a regular basis, providing a wide range of activities for all age groups, interests and abilities. The Reef is very popular with local people, businesses and service providers looking for a quality venue to hold parties, fundraisers, training courses and support services. The Trustees’ vision is to continue developing the facilities at The Reef in order to secure the future of the Youth Club and to ensure the community has a viable, contemporary facility accessible to all. It is important that the community is involved in developing the future prosperity of The Reef and the Trustees would welcome advice from local people who have experience in many areas including business and education. The Trustees would also like to hear from local people who could spare a few hours each month to help with the day to day running of the building. You could become a Trustee of The Reef, ensuring its future for generations to come. Applicants are welcome from all walks of life: you do not have to have any particular experience, just be committed to providing a wonderful facility for all the community to use. Information on becoming a Trustee of a charity can be found at https://www.gov.uk/guidance/charity-trustee-whats-involved or email contact@reefcc.org.